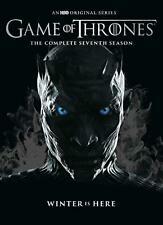 Game of Thrones: The Complete 6th Season 6(DVD) New, Free Shipping! 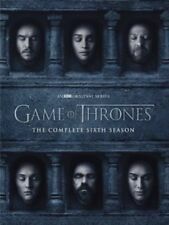 564 product ratings - Game of Thrones: The Complete 6th Season 6(DVD) New, Free Shipping! New Listing(4) Game of Thrones Christmas Ornaments NEW! Game of Thrones Fashion Keychain "Moon of My Life, My Sun and Stars"
Trending at $23.81Trending price is based on prices over last 90 days. 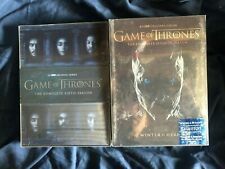 Game of Thrones: The Complete Second Season (Blu-ray + Digital HD, 2016) NEW!! 10 product ratings - Game of Thrones: The Complete Second Season (Blu-ray + Digital HD, 2016) NEW!! Trending at $16.63Trending price is based on prices over last 90 days.